In a revamped FAFL season which has seen a three round and finals format, as well as the Turku Dockers electing their first ever all-Finnish board, the on-field action has seen a marked difference in competitiveness. After the dominance in recent seasons of the Helsinki Heatseekers, either by pure talent or dwindling opposition, this season is shaping as one where each team could potentially take the title. Last weekend, the second round of the season was played at Parkin Kenttä in Turku. Across the three-way round robin format, all three teams enjoyed a win after the rain cleared to allow some good footy. The Turku Dockers upset the Helsinki Heatseekers, the Waasa Wombats then downed the Dockers and the Heatseekers regained their composure after the earlier shock loss to defeat the Wombats. These results, following on from the first round results, see the Heatseekers on top of the ladder, but they are not invincible – as the Dockers proved. Earlier this season the June tournament was played in Helsinki with the home team winning both matches against the Dockers and Wombats. The Wombats downed the Dockers in the other match. The Round 3 tournament will be played in Vaasa on August 25th. The venue for the grand final will be determined by the ladder positions at the end of the third round of matches with the minor premier to host the match. Teams finishing in first and second place will play in the grand final on 22nd September. Whilst the Heatseekers hold top spot ahead of the Vaasa round, and the Dockers are two games behind in last position, results in Vaasa could see any of the three teams reach the grand final – and from there it is the best team on the day. 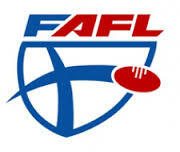 It makes for an exciting potential finish to a relatively even FAFL season. And as the Dockers proved last weekend, the Heatseekers can be beaten.